Sleeping Lessons is the debut album from pop-punk Portland band, Alien Boy. It’s a solid debut – catchy, dynamic, and well-executed. The genre of pop-punk is a well-treaded one, and while Alien Boy isn’t necessarily bringing anything new to the table, they make a sincere tribute to their inspirations and do it well. They’ve found the sweet spot of their sound – a genre they admire and can pull off without seeming like parody. Alien Boy’s iteration of pop-punk combines the noisiness of shoegaze with the energy of punk, and unfiltered, emotional lyrics. The album sounds familiar in a good way, comforting and easy like a fond memory. As an avid listener of pop-punk in my adolescence, I hadn’t listened to anything of that style in many years. Hearing Sleeping Lessons is like a welcome return to the past, and fortunately, it also has the energetic musicality and expressive lyricism to stand on its own. 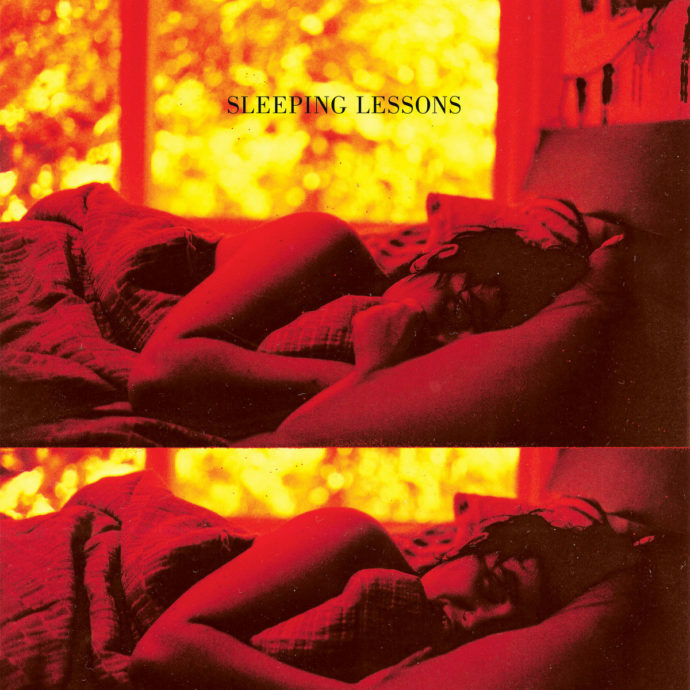 Sleeping Lessons is a raw and desperate record. Weber addresses a nameless “you” in most tracks, who has clearly been the cause of much anguish and torment. This is punk with a heart, unapologetically earnest in its feelings. It’s distinct from the cool detachment and “couldn’t care less” attitude that seems to characterize punk. Alien Boy marries tender emotionality with the heaviness of shoegaze. The result is a loud and endlessly relatable album that causes us to yearn for something that remains unuttered. “Only Posers Fall in Love” is a propulsive, wailing number that hints at love. “If We Don’t Speak” surrounds Weber’s vocals with catchy guitar hooks and asks only for someone to listen. Weber laments in “I Just Can’t Feel It” to feel something even without “you.” It could be love, but it’s never concretely said. Instead we are left to ponder the vagueness of feeling something. Things become more concrete in the sequence of tracks, “Depression,” “On the Ride Back Home (You Know What I Dream Of),” and “600 Days.” It’s bright and powerful musical bliss. “Depression” oozes insecurity – Weber lists desires and wishes in a single breath, dragged along by a rush of drums and guitar chords. “On the Ride Back Home” revels in its certainty and the difference is noticeable; here, Weber’s vocals are self-assured and clear. In “600 Days” Weber finally declares “You are the best thing / You’ve always been,” and by this point, we believe it. Although Alien Boy never fully fleshes out the backstory, the feeling is apparent. Sleeping Lessons is a fragmented recollection of memories, not an autobiography. The final and titular track, “Sleeping Lessons” remains fragmented. The fuzziness and distortion fall away, leaving echo-y drums, and a slower, somber guitar line. It’s the most lyrically descriptive track, describing Weber’s experiences on the east coast. However, Weber drones, “I learned how to sleep again,” the song finishes inconclusively. The final guitar solo sounds abbreviated, ending on an off-key note as if things have remained unsaid. But of course, when it comes to feelings, nothing is perfectly defined, and Alien Boy leaves it to us to figure that out.